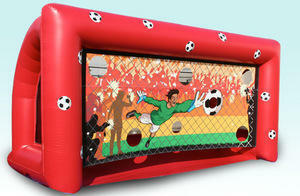 Rent the inflatable soccer kick for your next party. Fun for the younger kids but challenging enough for those "older" kids. We provide the soccer balls. The soccer kick will keep your guests entertained for hours.